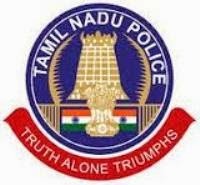 TNUSRB Recruitment 2018 – 6140 Police Constable, Fireman & Jail Warder Posts:- Tamil Nadu Uniformed Service Recruitment Board (TNUSRB) has released latest notification for filling up 6140 posts of Police Constable, Jail Warder & Fireman. Desirous & eligible candidates can apply online from 28/12/2017 to 27/01/2018. Age Limit: 18 to 24 years as on 01/07/2017. Starting Date of Online Application :28/12/2017. Application Procedure: Eligible candidates can apply online through the website http://www.tnusrbonline.org from 28/12/2017 to 27/01/2018. Tamil Nadu Uniformed Service Recruitment Board (TNUSRB) has released latest notification for filling up 15711 posts of Police Constable, Jail Warder & Fireman. Desirous & eligible candidates can apply online from 23/01/2017 to 22/02/2017. Age Limit: 18 to 24 as on 01/07/2017. Educational Qualification: 10th, 12th, Diploma from a recognized Board or University. Refer to notification for more details. Starting Date of Online Application :23/01/2017. Application Procedure: Eligible candidates can apply online through the website http://www.tnusrbexams.net from 23/01/2017 to 22/02/2017. Subscribe our free job alert mail for TNUSRB Recruitment 2018.